Walk through the produce section of your supermarket and you’ll see things you’d never have seen years ago — like fresh raspberries or green beans in the dead of winter. 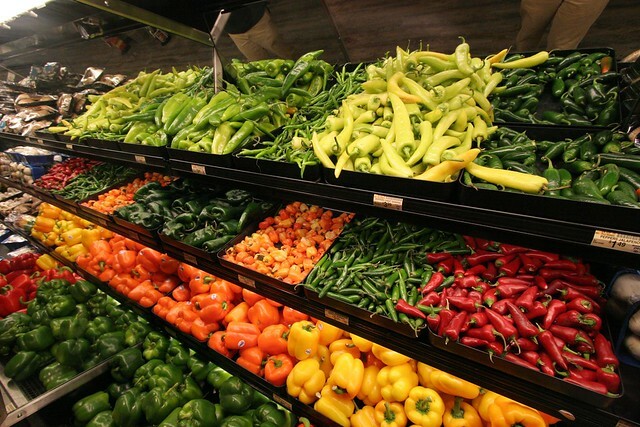 Much of that produce comes from Mexico, and it’s the result of the North American Free Trade Agreement — NAFTA — which took effect 20 years ago this month. Head here for the full text and audio versions of the story. 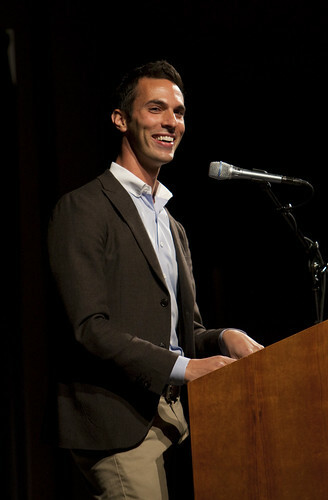 NPR correspondent Ari Shapiro is giving up the White House beat to head to London. Why, you ask, does that merit a mention on a blog about eating (and drinking) in the modern world? No reason, honestly, but he’s so dang smart and talented, not to mention out and adorable, that I couldn’t help but find an angle. Thanks to Punch, I’ve got one. “I’m told London is a city that enjoys its drink,” he says optimistically. But Shapiro is baffled at how the English manage to drink as much as he’s told without going bankrupt. He balks at the price tag of a regular cocktail converted into British pounds, and is instead focused on finding his own corner pub. “It seems to me that, in Britain, no matter your age or class or wealth, you have a neighborhood pub—like a communal living room.” A place to revisit, and most definitely a notch up from the anonymous hotel bar. Something’s bubbling in American kitchens: a resurgence of interest in cultured and fermented foods. Fermentation revivalists share a slow food philosophy, a DIY approach to foodcraft, and a deep interest in the health of the American gut. 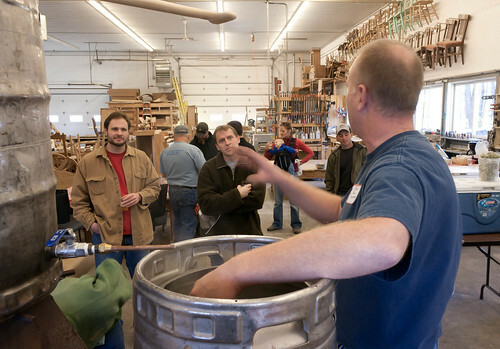 Today, we explore fermentation culture in food, technology, art and science. Check out audio of the full episode (or any of its parts) here. If you’d rather read than listen, you can find Scalzi’s story here at his blog (though the audio version with reader Adam Hirsch is swell). You’re opening a store called Daily Table early next year. It’s going to sell food that’s past its sell-by date. Can you elaborate? Yes, and food that’s cosmetically blemished or food that is excess — like fish that is perfectly wholesome, but not the fish they were going out to catch. We’re going to grab all of this stuff, bring it on-site, cook prepared meals with it and also offer milk, eggs, bread and produce. It’s going to be priced the same as junk food, basically. It’s an interesting (and not controversy-free) concept. Find the full interview here. For more on Rauch’s plans for Daily Table, check out his appearances on NPR’s Weekend Edition Saturday and WNYC’s The Leonard Lopate Show. 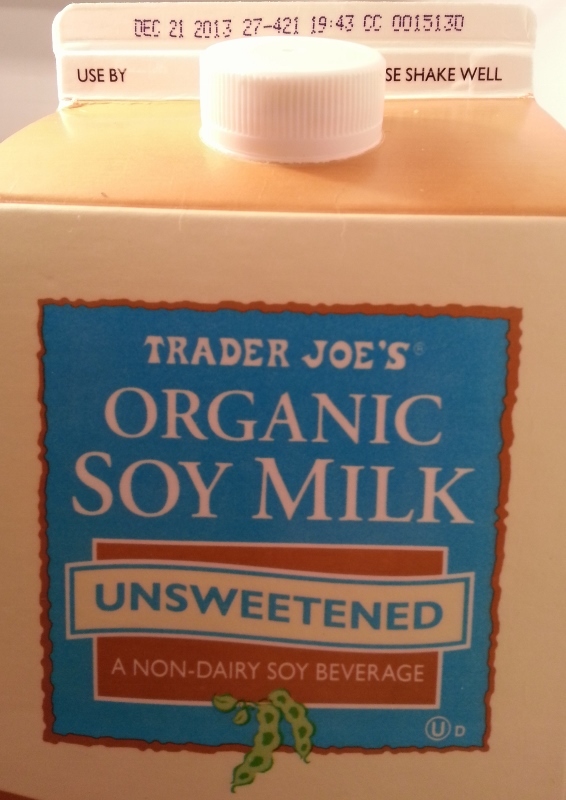 For a look at what currently happens with expired and otherwise less-than-perfect items from the supermarket, check out this earlier post. Last week while I was away (more on that in some forthcoming posts), I caught a story on NPR that focuses on a delicious heirloom variety of corn. chef [Dan] Barber made an arrangement to start growing the New England heirloom corn at the farm next to his restaurant. And for the past eight years, farmer Jack Algiere has overseen its cultivation. During my visit, Algiere showed me one of the golden-hued cobs still growing on the stalk. “It will turn a golden orange when it’s dry,” Algiere said. 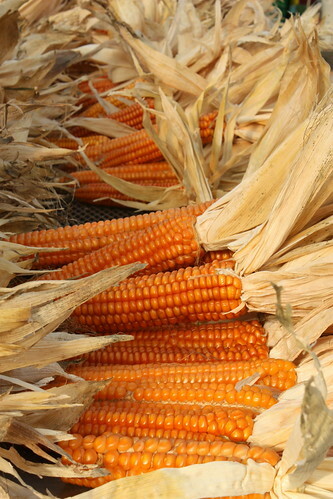 The vibrancy of this yellowish-orange pigment is indicative of high concentrations of beneficial called carotenoids, which make this corn appealing for its nutritional value. And it’s also fairly high in protein. So why did farmers stop growing this corn? For everything that New England Eight Row Flint corn has going for it in terms of flavor, its big downside is that it doesn’t produce many cobs. It’s a low-yield corn. I highly recommend the full piece; check out text and audio versions here. 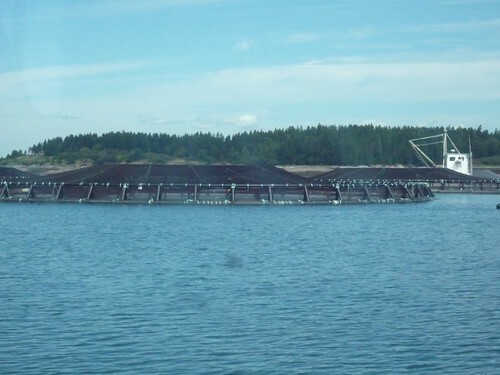 [Chopin’s] approach involves creating a whole ecosystem around a fish farm, so the waste generated by the salmon gets taken up by other valuable seafood commodities, like shellfish and kelp…. [T]here are rafts made of black PVC piping, sticking out of the water like catwalks. They are home to cultivated seaweeds and mussels — species that thrive on fish waste. addresses the mostly localized problem of water pollution, but it doesn’t address other problems with aquaculture: the spread of fish parasites, the escape of caged salmon, or — worst of all — the need to harvest wild fish to feed the salmon. That’s a big problem for inland aquaculture as well. The full story is worth checking out; find both audio and text versions here.